There’s very little that feels quite as luxurious as falling into a bed covered in soft, silk sheets! It can change everything about the quality of your sleep as well as the way your skin and hair look and feel the next morning. 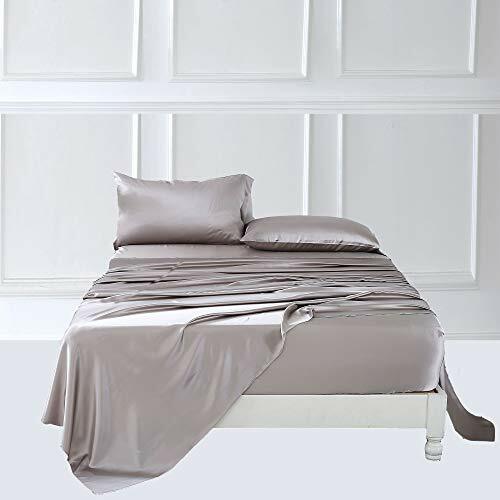 Some people try using just a silk pillowcase, but for the best possible night of sleep, consider the benefits of an entire 4 piece queen sheet set made of luxurious silk. You’ll wonder how you ever slept well without them! In this article we’ll pull out the information you need to make a wise purchasing decision for your silk sheet set. We’ll review the ZIMASILK sheets and give you the best insider information, all gathered into one place. 19 Momme Silk. Silk is measured by the weight of the fabric per 100 yards. Silk dresses and other garments often come in at around 8 momme, meaning they weigh 8 pounds per 100 yards. High quality silk for bedding should be heavier, and the best silk is considered to be 19 momme. Mulberry Silk. The highest quality silk available on the market today, mulberry silk is specially produced by silkworms that are fed only mulberry leaves. Mulberry silk is different from other varieties of silk in that it is 100% natural, hypoallergenic, and odorless. It is more refined than most other types of silk and more uniform in nature because of the longer strands produced by the Bombyx mori moth. Pillowcases without Zippers. 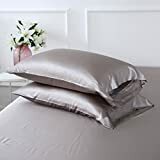 While silk pillowcases purchased individually from the company come with zippers to keep the pillows from sliding out, these simply have a standard open end that tucks under. Although it’s not ideal, it works well enough. Cost. Just like any silk sheets, this ZIMASILK sheet set comes with a hefty price tag when compared with normal cotton or polyester sheets. Of course, as a luxury item, these sheets can change everything for a person with discerning tastes, and the price tag is reflective of this. Laundering. Silk sheets in general require an extra amount of care when laundering. Instead of just throwing them in the washer and tumble dryer, they need to be washed on gentle cycle or hand washed, and then dried flat in a towel. Although this is a bit more fuss than with regular sheets, most people find that it is completely worth the extra effort! Not much information about the ZIMASILK Company is available at this time. They produce silk products such as sheet sets, comforters, individual pillowcases, and silk face masks for sleeping. When you’re making a purchase with a higher price tag, you certainly want to be sure that you get the best product for your money. And getting recommendations from all around the internet is like having a collection of friends helping you make your purchase decisions! One Amazon reviewer notes that these sheets are so comfortable that they are definitely worth the price! She says that she sleeps better with these sheets and they have been a perfect part of her summer. Of course, they do make pillows and blankets more slippery, but this verified purchaser says that it’s completely worth it for the quality of sleep she is getting now. Another verified purchaser from Amazon says that these sheets fit very well on a deep mattress and stay in place. One other Amazon reviewer says that these sheets feel “amazing” and she wishes that she had treated herself much sooner! When you’re in the market for silk sheets, you are likely looking for the best you can afford. 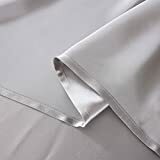 ZIMASILK offers a high quality silk sheet set with durability and luxury combined. It’s super-functional because the entire set is machine washable and has elastic all around the edges of the fitted sheet. 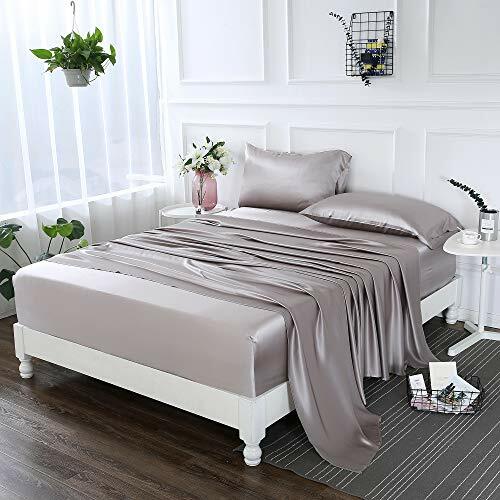 This 4 piece silk sheet set by ZIMASILK would be a great way to promote healthy sleeping habits for years to come, without breaking the bank.